Keeping carpets clean in a home will provide many benefits to not only the home, but also to those living inside. 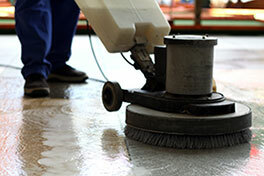 Clean floors are the foundation of a warm, comfortable home and its décor. It is important to understand the benefits of professional carpet cleaning. A clean carpet will wear less and last longer. Carpet cleaning will increase the life span of whatever type you have on your floors. Not having to replace carpeting that is worn out provides financial benefits as well. Spending on proper, periodic cleaning will prevent spending on replacing a home’s carpeting. Having to replace carpeting in a home is very costly but can be prevented with proper maintenance. While regular cleaning will extend the life, remember that cleaning will also make your home look great. All homes have dust mites and most homeowners may not realize that their carpets are full of them. 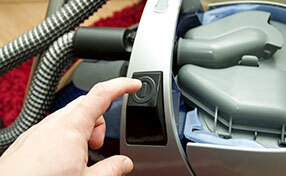 Dust mites are microscopic and cannot be seen with the naked eye. The tiny creatures leave behind waste and body fragments that will lay in the fibers of your carpeting. When the areas with dust mites are disturbed, these particles will enter the air and can be inhaled which can have an influence on allergies. The best carpet cleaning, that involving steam, or hot water, will eliminate dust mites since they cannot withstand high temperatures. Dirty floors are more susceptible to the risk of mold growth, especially when exposed to moisture. In areas of high humidity, mold growth is a big problem. Moisture can be tracked into a home and can become trapped in the fibers of your carpeting if not dried and vacuumed right away. A carpet cleaning service can help prevent this type of mold or mildew growth by using high-powered drying tools that eliminate moisture. Regular carpet maintenance will get rid of any mold and prevent it from spreading.